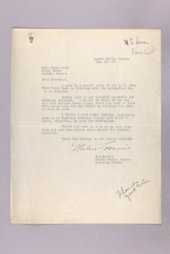 Summary: This file includes subject correspondence relating to applications and endorsements for United States Senator Henry J. Allen from Kansas. This file is part of a bigger collection of Governor Clyde M. Reed correspondence. Part of: Kaw Mission Historical Site, Council Grove, Kansas.